These are truly extraordinary times. With every passing day, we are witnessing what can only be called the People versus the Government. The distrust and disdain Americans of all political persuasions feel toward the White House and Congress is extraordinary. The so-called Stimulus Act was widely seen as a “porkulous” act; over two thousand pages filled with Congressional pork projects passed off as “shovel ready.” It promised to reduce unemployed which since has risen—-officially—-from 8.5% to just under 10%. There was widespread opposition to the government takeover of General Motors and Chrysler as opposed to an orderly process of bankruptcy that would have permitted changes to restore both companies. The arbitrary White House intervention left bond holders and investors in the cold. It was clearly a bailout for the United Auto Union. This was then followed by the astonishingly stupid “Cash for Clunkers” legislation and the closing of selected auto agencies, some of which were sales leaders. The overwhelming majority of Americans did not want the healthcare reform act to be passed and now want it repealed. Much has already been written about how it will raise costs and decrease services while driving many physicians to abandon Medicare because of its low payment schedule. 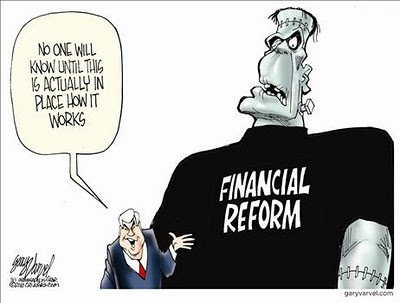 Then came the financial reform act, another huge bill whose contents are still being analyzed, but which significantly avoided any reform of Fannie Mae and Freddie Mac, the two government “entities” that were responsible for the sub-prime mortgage crisis. 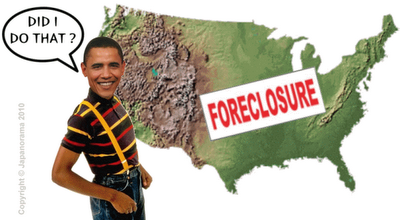 Both agencies have been seized by the government, but both still own over fifty percent of all U.S. mortgages. Healthcare, financial services, auto manufacturers; at what point will there any “private” enterprise left in America that is not totally controlled by the government? What surprises me most is the lack of protest marches in Washington, D.C. 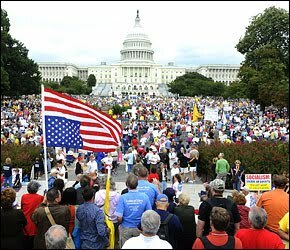 The September 2009 rally drew close to a million utterly peaceful people who were opposed to Obamacare. The Tea Party movement has been staging events that have drawn large crowds. I suspect it has much to do with a patient electorate counting down the days until the November 2nd elections. They are more critical to the future of the nation than any since the election of Abraham Lincoln just prior to the Civil War when southern States were calling for secession. We are witnessing an increasing friction between the States and the federal government and there is no telling how that will manifest itself in the years to come. The decision by a federal judge regarding Arizona’s effort to force the federal government to do more regarding the wholesale invasion of America promises to be a major issue in both the midterm and 2012 elections. For me, the most interesting aspect of the dissatisfaction with President Obama is that occurring in the Democrat Party. “Rather than being a unifier,” wrote Caddell and Schoen, “Mr. 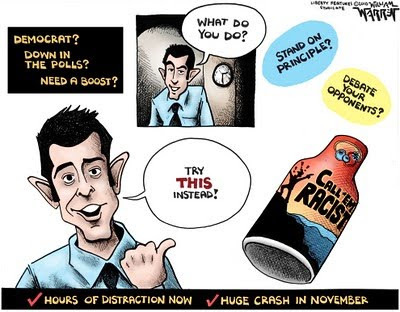 Obama has divided America on the basis of race, class and partisanship.” The number of leading Democrat office holders, past and present, that are outspoken in their criticism is becoming a daily event. “President Obama’s divisive approach to governance has weakened us as a people and paralyzed our political culture,” said the pollsters. None of this bodes well for Obama, despite his ability to raise money for the Democrat Party’s candidates in November and for himself in 2012. It is widely reported that Wall Street, normally a reliable contributor to Democrat coffers, is conspicuously absent at fundraisers. 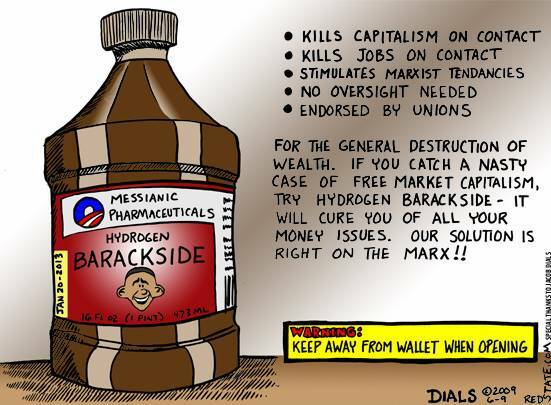 All this comes back to the fact that Obama is Marxist ideologue. He is also a liar, a trait no one likes, and a narcissist who gives continued evidence of regarding the presidency as a daily opportunity for self-indulgence and bottomless ego satisfaction. Obama may not be easily removed, but he can be politically neutralized if Republicans can gain control of Congress in November. There are barely 900 days left in his first and hopefully last term; still time for him and his cadre of czars to do more damage. 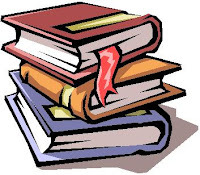 For those of you who love to read, the August edition of my monthly report on new non-fiction and fiction, Bookviews, is posted. I have been a reviewer since the late 1960s and am a charter member of the National Book Critics Circle. 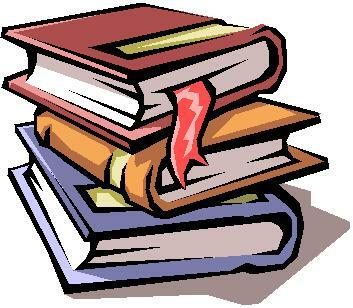 The monthly report covers up to seventy books and, in August, in addition to My Picks of the Month, includes sections devoted to business, health, books for kids and teens, and some excellent novels as well. These are not the "bestsellers" that get all the attention and hype, but rather they are unique in some respect,serious or entertaining, and there's sure to be one noted you will want to read. The last time I recall the nation being this concerned over the state of the presidency was during the Lewinsky scandal and ensuing impeachment proceedings against President Clinton. Before that it was during the slow revelation of the Watergate scandal that finally forced Richard Nixon’s resignation. Tancredo, a former five-term member of Congress, is now the chairman of the Rocky Mountain Foundation. Kuhner, a Times columnist, is president of the Edmund Burke Institute. 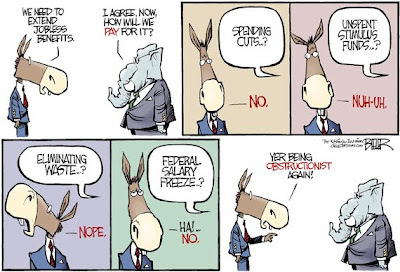 It is the conceit of every generation that those that preceded it were less sophisticated, but it is clear from Alexander Hamilton’s Federalist Paper number 65, published in the New York Packet on March 7, 1788, that the question of impeachment as defined in the Constitution was being debated, the subtleties of the issue were not only understood by the author, but by Americans of his era as well. Hamilton wrote: “A well-constituted court for the trial of impeachments is an object not more to be desired than difficult to be obtained in a government wholly elective. The subjects of its jurisdiction are those offenses which proceed from the misconduct of public men, or, in other words, from the abuse or violation of some public trust. The removal of Barack Hussein Obama from the office of the presidency is increasingly spoken of among concerned Americans and now has risen to the level of discussion in print. The two Times articles enumerated the reasons why. 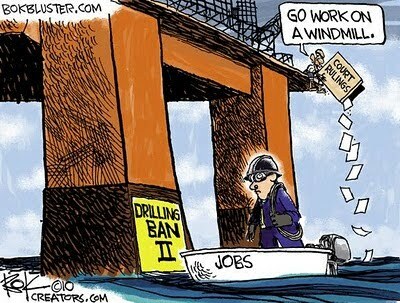 # Implementing a third ban on off-shore drilling despite the rejection by two federal courts. # The appointment of judges who want to create law rather than interpret it. # The failure to defend the nation’s southern border against an invasion of illegal aliens. Tancredo could have added the questionable demand that BP create a $20 billion fund to cover the cost of the oil cleanup and the losses incurred by those affected by it. That was entirely without any previous historic or legal precedent. The creation, too, of an entire level of presidential advisors (czars) within the White House who appear to have been granted greater powers than Secretaries of various federal departments in determining policy is highly questionable. Few underwent any examination by the Senate. Kuhner warned about Obamacare’s funding of abortion, along with the creation of “a command-and-control health care system, “a frontal assault on property rights”, the new financial reform act that he deemed “essentially nationalize the big banks” while noting the same effect on the financial sector, and the student loan industry. He too noted the takeover of the automakers. Kuhner urged that, should the Republicans win back Congress in November “formal investigations into this criminal, scandal-ridden administration” should be launched. I doubt that even Republican control of Congress in both houses would undertake impeachment proceedings against Obama. That did not go well when it was tried against Clinton. At best a Congress in which they controlled either or both houses would become a bulwark against further predations by the first Marxist president ever elected in America and, hopefully, the last. There are ten planks in the Communist Manifesto and it will come as no surprise to anyone to discover that they are being implemented by the Obama administration in league with House Speaker Nancy Pelosi and Senate Majority Leader Harry Reid. The first plank called for the abolition of all private property ownership and the application of all rents of land to public purposes. The Constitution regards the ownership of private property to be of such importance that the Bill of Rights’ Fifth Amendment includes an injunction against the taking of private property for public use without just compensation. The object was to keep as much private property as private as possible. Some of the other Communist goals included a heavy progressive or graduated income tax and abolition of all rights of inheritance. If the Bush tax cuts are not extended, the “death tax” on estates will partially implement the inheritance goal and, of course, everyone currently anticipates that income tax rates will rise. The federal government has long been involved in sequestering land from private ownership and in cases such as the establishment of National parks and forests it has proven to be a good idea, ensuring the protection of landmarks such as the Grand Canyon and Yellowstone National Park. Such efforts ensured that the U.S. still has 70% of the forest land that existed in 1600—737 million acres. Of these 33.5% are reserved from harvest by law or represent slow-growth areas unsuitable for timber production. The rest are timberlands that, for forest management purposes, are still harvested. This has not stopped environmentalists, often called tree-huggers, from trying to stop any harvesting and the 1980s Spotted Owl hoax in the Northwest was so successful it closed down timber and sawmill operations, devastating an important industry. The claim was that the owls were endangered. Like most environmental claims it was false. Most people will be surprised to learn that nearly 30% of the 2.63 million square miles of the United States is directly owned by the federal government. This federal land is located primarily in the West. For example, 69.1% of Alaska is owned by the federal government and 84% of Nevada. More than half of both Utah and Idaho is owned by the federal government. Other western states such as Arizona, California, Wyoming, Oregon, New Mexico and Colorado have from 53.1% to 36.6% of their land allocated to the federal government. If the States are sovereign republics in their own right, it begs the question why the federal government owns so much of the West, but the most pressing question today is why new legislation is making its way through the House and Senate to create a permanent trust fund for the purpose of acquiring still more federal land. Though beaten back in the past, the House recently passed the “Consolidated Land, Energy and Aquatic Resources Act of 2010 and, in the Senate, Harry Reid is trying to incorporate similar legislation in his so-called “energy act”, creating a multi-billion trust that, unlike the original Land and Water Conservation Fund, would not have to go through the appropriations process. The so-called trust fund aspect is an old Congressional trick. The Social Security trust fund has been raided for years to the point where it is insolvent, but trust funds set up for highway funds, airport funds, and others have been regularly diverted. Another land grab effort is an act called “America’s Commitment to Clean Water Act” that is in essence a Corps of Engineers and Environmental Protection Agency authorization to control every drop of water in the nation. The original 1972 Clean Water Act applies only to “navigable” waters, i.e. bodies of water on which boats and ships can function, but the new bill would include wetlands and everywhere else water is found. In short, not just farmers and ranchers would be affected, but your backyard if it has puddles after a rainstorm. This has long been an EPA objective. Would it surprise anyone to know that Carol Browner, the president’s chief advisor (czar) on environment and energy was a former high ranking member of Socialist International? The Obama administration is filled with people for whom the environment is a kind of religion, devoid of any science to support its bad intentions, and willing to ignore the U.S. Constitution any time it might get in the way. The Constitution is under attack by Communists. Our freedoms are constantly eroded and the keystone of wealth, private property, is under attack. The study of history can help one understand the present and frequently help predict the future. The world has experienced astonishing change in the last century thanks to trains, planes, automobiles, radio and television, and, of course, computers and the Internet. It is natural for each new generation to accept such technological innovations as having always existed, but even automobiles are a relatively new mass produced invention. A hundred years ago in 1910, there were only 8,000 cars in the entire nation and only 144 miles of paved road. Americans tend to think that we have always been the dominant economic power, but that did not begin to occur until after World War II destroyed much of Europe, Japan and other competitors. They have rebuilt and, along with the rise of China and India, they are major competitors. As much and as freely as people can move around in our modern age, by the twelfth century Asia and the Near East was largely without borders for educated men. Caravan routes were well established. Trade in the centuries to follow was vigorous from Asia to the cities of Venice and Genoa, and then to the rest of Europe. I cite this because free trade has become the dominant mantra of modern America, but Ian Fletcher, an economist with the U.S. Business & Industry Council, has written “Free Trade Doesn’t Work” and while books on economic theory tend to make my eyes glaze over, his is so filled with solid research and so lively that it provides a window to the present and future of America if its theme goes unheeded. Cheaper goods, produced overseas, filling the shelves of Wal-Mart, are of little value if American workers cannot afford them. 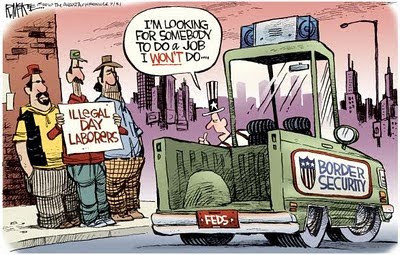 Our present unemployment rate is such a threat to our nation that politicians can only think to print more money and “redistribute” it to a growing legion of jobless Americans. America’s trade deficit is the world’s largest and the ratio between imports and exports is one of the world’s most unbalanced. Our imports are now 17% of our gross domestic product and our entire manufacturing sector is only 11.5% of GDP. 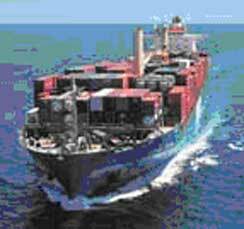 Neither exporting services, nor agricultural products will balance our trade. America not manufacturing enough goods to sell. These are implacable numbers—-truths—-that Americans and our leaders in government, business, and industry must face and must reverse if we are to stop our national economic decline. The socialism imposed in just the passed year and a half in which the federal government controls an ever-increasing percentage of our nation’s wealth-producing economy will utterly destroy the nation. When times turn ugly and people begin to worry about the future they begin to look for some group on which to pin the blame. 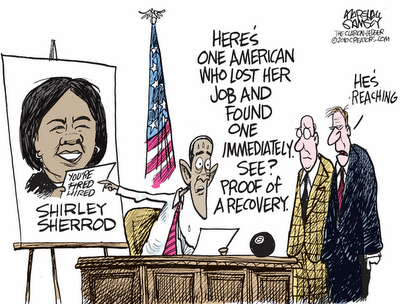 Fears manifest themselves as prejudices and this accounts, I think, of the recent flare up over Shirley Sherrod, the Department of Agriculture employee who was misidentified as a racist, treated shabbily by the White House and, astonishingly, by the NAACP as well before being swiftly exonerated. Political pundits are saying that the one thing the first black President least wants to deal with are any charges of racism in his administration and that is entirely understandable. What is not understandable is the pass the Department of Justice gave some New Black Panthers who were clearly trying to intimidate voters at a polling place in Philadelphia. When a group of twenty-three Jews of Dutch ancestry arrived in New Amsterdam in September of 1654, its Governor Peter Stuyvesant did not want them to put down roots in what would later become New York, but the officers of the Dutch West India Company thought otherwise and overruled him. If America was a hell on Earth for blacks taken into slavery, for Jews America was literally the closest thing to paradise they could imagine. It wasn’t that prejudice didn’t exist. It was that America provided opportunity and upward mobility in ways the Old World did not. To an extraordinary extent, they prospered and they gave back to America with their talents, their intellect, and their wealth. Jews are closely identified with Hollywood, but some ugly things have been occurring there of late. There was the latest anti-Semitic outburst attributed to actor Mel Gibson whose previous 2005 arrest for DUI revealed a deeply felt hatred of Jews. Stone who has associated himself with Cuba’s Fidel Castro and Venezuela’s dictator, Hugo Chavez, has apparently never met a despot with whom he could not break bread. Hitler used anti-Semitism to stir the passions of Germans that were experiencing economic troubles in the 1930s. It’s a textbook tactic of all dictators in all times. Let’s not repeat it here or fail to protest it. Celebrities like Gibson and Stone should be shunned. These and other incidents must especially be guarded against and condemned in times when the search for a scapegoat is too often the easy answer as opposed to understanding the actual dynamics of the nation’s economic troubles. In 1790 President George Washington wrote to the Jewish congregation in Newport, Rhode Island, saying, “The Citizens of the United States of America have a right to applaud themselves for having given to mankind examples of an enlarged and liberal policy; a policy worthy of imitation. All possess alike liberty of conscience and immunities of citizenship. We shall never be wholly free of the bigots among us, nor of any feelings we may have in our own hearts, but we can never permit ourselves or others to indulge in bigotry without considering the often terrible lessons of history. On Friday, July 23, the Chicago Tribune published an editorial titled “Enough Ethanol” and on Saturday, July 24, The Washington Post editorial said, “It’s time to end the excessive subsidies for corn ethanol.” On Monday, July 26, The Wall Street Journal joined the chorus. “The best refutation of the theory of the survival of the fittest is probably the corn ethanol lobby, whose annual $6 billion in federal subsidies have managed to outlive both its record of failure and all evidence and argument,” said The Wall Street Journal. The ethanol subsidy is on the front burner for Congress because it is due to expire and Sen. Jeff Bingaman (D-NM), Chairman of the powerful Senate Energy and Natural Resources Committee, has expressed support for cuts to the tax credit program. A twenty percent cut (nine cents per gallon) is being debated in the House Ways and Means Committee. Jimmy Carter’s belief that ethanol could replace or reduce dependence on foreign oil imports and reduce greenhouse gas emissions was totally bogus. Nothing about converting corn to fuel makes any sense at all. In July 2007, I laid out the facts, quoting E. Ralph Hostetter, the publisher of American Farm Publications. What does the consumer get? For every gallon of a gasoline-ethanol mix, the price includes less mileage. Ethanol is a poor source of power. FlexFuel vehicles run on E85 or 85% ethanol and, according to the Department of Energy, they get about 25% less mileage than a car fueled by undiluted gasoline. For those still worried about greenhouse gas emissions, ethanol emits carbon dioxide and, since natural gas or coal is used to produce ethanol, it ends up putting more CO2 into the atmosphere than the production and use of gasoline. The Congressional Budget Office concluded that supporting ethanol through subsidies means that taxpayers are shelling out about $750 for every metric ton (2,205 pounds) of carbon that, in theory, is kept out of the atmosphere. It gets worse. I have not read or heard a single climatologist or meteorologist who believes that carbon dioxide plays any role whatever regarding the bogus global warming. As I frequently remind readers, there is no global warming. The Earth has been cooling, due to natural factors, for the past decade. This is why, behind the scenes, the producers of “clean” or “alternative” biofuels are in a state of panic. There is no justification for ethanol, no matter whether it is produced from corn or cellulose. The same goes for biodiesel fuel. Who keeps insisting on raising the mandates for the use of these “green” fuels? The Environmental Protection Agency. 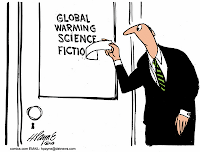 Slowly, in the wake of the huge financial disaster called the United States of America, costly former priorities, many sold on the basis of stopping the dreaded global warming, are finally being examined by newspapers and other media. It’s only taken since the late 1970s to finally get around to it, but better late than never. The unemployment rate keeps climbing and the polling results for the President and Congress keep falling. Conservatives are well aware that the Obama administration has relentlessly pursued legislation harmful to the economy, but just how bad it is and how bad it will become in 2011 may not have sunk in fully for the public in general. The worst is yet to come because the end of the Bush tax cuts on December 31, 2010 will generate major increases in taxation that will affect all but the appalling 40% who pay no taxes at all. This isn’t redistribution of wealth. It is a penalty levied on investors, entrepreneurs, and those who still have jobs. One of those policies, the president’s shut-down of drilling in the Gulf, twice rejected by the courts, will add thousands more to the ranks of the unemployed without any justification. When the tax cut deadline comes at midnight on December 31, the “death tax” on estates will return, increasing 55% on estates of $1 million or more, but it won’t just be “the rich” who are affected. As reported in Investor’s Business Daily, “The lowest bracket for the personal income tax, for instance, moves up 50%, to 15% from 10%.” These brackets will increase 25% to 39.6% for others. The marriage penalty returns and the capital gains tax “will jump 33%” and “the tax on dividends will go all the way from 15% to 39.6%--a 164% increase.” Wall Street will hit a wall of resistance from investors. A spending-crazed Congress will have $115 billion more to waste and, according to the Congressional Budget Office, it will reach $2.6 trillion by 2020, a mere decade from now. These funds are theoretically going to be allocated toward paying for the vastly expanded Obamacare “reform” of the already insolvent Medicare program. A booklet by Michael D. Tanner, “Bad Medicine”, published by the libertarian Cato Institute, points how the fallacy—the lie—that an expanded Medicare will protect those now without such protection against rising healthcare costs. The truth is that by 2019 an estimated 21 million Americans will still be uninsured. Obamacare will cost far more than advertised; more than $2.7 trillion over ten years of full implementation and will add $352 billion to the national debt over that period. Insurance costs will skyrocket for younger, healthier workers. 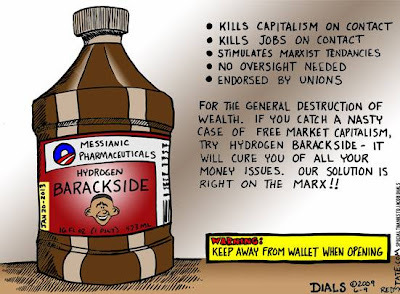 The Obama administration and Democrat-controlled Congress will not engage in any of these well known remedies. What is occurring is a deliberate policy to destroy the nation’s economy and with it the nation. The trade deficits the nation has run, importing more than we export, will ensure we do not dig ourselves out of the hole for years to come. All hail, Obama! The Nation Killer! I know quite a few climatologists and meteorologists and the ones I know have been courageously refuting the global warming fraud for years, even decades. Beyond them, thousands of comparable scientists have signed petitions and statements to the effect that global warming was and is a hoax. The UCS campaign, however, is “an effort to educate the public about the work scientists undertaken in their efforts to document and understand human-caused global warming.” Excuse me, but there isn’t any human-caused global warming. There isn’t any global warming insofar as the Earth has been cooling for the past decade. 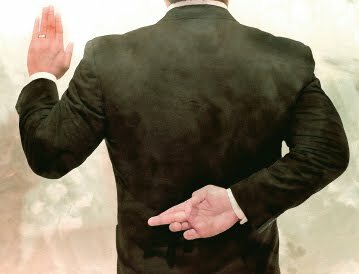 The UCA is part of a broad pushback against the November 2009 revelations that have since become known as “Climategate.” Thousands of leaked emails among a tiny band of rogue scientists, primarily from the University of East Anglia’s Climate Research Unit (CRU) and Penn State University ripped away their curtain of respectability. Michaels, now a senior fellow at the Cato Institute, was being polite when he used the word “suggesting.” The emails between the scientists involved in Climategate were damning evidence that they were engaged in a huge fraud. That fraud is now been whitewashed by supposedly independent panels reviewing the emails and activities between Penn State’s Prof. Michael Mann, the CRU’s Phil Jones, and Ken Briffa, and others. 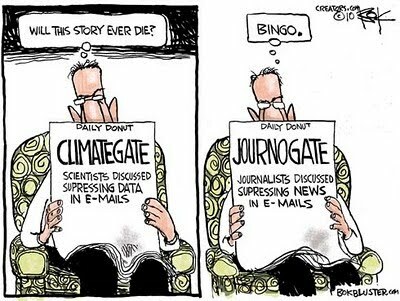 On May 29, 2008, Jones emailed Prof. Mann under the subject line, “IPCC & FOI” asking him to delete any emails he had had with Briffa regarding the Intergovernmental Panel on Climate Change in order to thwart any Freedom of Information inquiries. The so-called independent panels, mindful of the millions of dollars in climate change research grant funding that both Jones and Mann had brought in for their respective universities, saw no evil, heard no evil, and read no evil. As a full-fledged partner in the global warming hoax, back in November 2009 when the emails were leaked, Francesca Grifo, a senior scientist and director of the UCS Scientific Integrity Program, was asked by Science Insider what she thought. She declined to be interviewed, but later issued a statement through a spokesperson. There is no global warming. The so-called greenhouse gases, carbon dioxide and methane, extremely minor factors, play no role in climate change within an atmosphere composed primarily of water vapor. I suggest a name change. The UCS should call itself the Union of Concerned Propagandists. In West Point and military academies around the world, a book written two and a half thousand years ago is studied. It is “The Art of War” by Sun Tzu and it deftly spells out the difference between victory and defeat. The lesson from 9/11, published in the Commission report that followed, was that while the U.S. had a fairly massive espionage and counter-espionage community, they were not effectively communicating with one another. 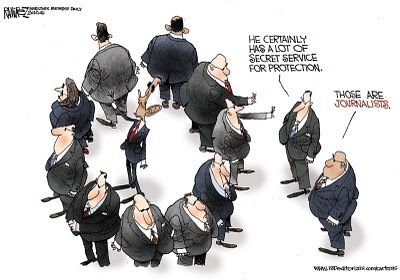 Part of the problem was a legal “wall” that had been put up between spymasters and law enforcement personnel. If Dana Priest and William M. Arkin were able to access such information, then you can be sure that intelligence agencies in the nations of both our allies and enemies have already done so. The recent exposure of a Russian sleeper spy ring should be a reminder, not just of the bad old Cold War days, but that such spying goes on all the time by every nation. # Some 1,271 government organizations and 1,931 private companies work on programs related to counterterrorism, homeland security, and intelligence in about 10,000 locations across the United States. # An estimated 854,000 people, nearly 1.5 times as many people as live in Washington, D.C., hold top-secret security clearances. 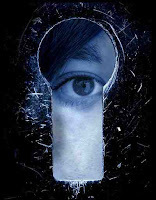 # Many security and intelligence agencies do the same work, “creating redundancy and waste” according to the series. For example, 51 federal organizations and military commands, operating in 15 U.S. cities, track the flow of money to and from terrorist networks. # Some 50,000 intelligence reports are published each year by security analysts. Anyone who has to process a lot of information every day knows that too much information is almost as bad as too little because it is virtually impossible to reduce to an “actionable” level where response time may be a matter of hours. The Christmas underwear bomber is an example and, of course, the failed Times Square bomber, another, when the system does not work as hoped. The terrorists who are targeting the U.S. only have to be lucky once. The intelligence community has to get it right every hour of every day. All these intelligence gathering and analyzing operations reflect the fact that the world is a very large place with lots of individual nations and lots of non-state terror organizations. So, maybe, a little redundancy is not so awful? It is always useful in any situation that involves making war and the West is locked into a very long war with Islamic fascism and other enemies like North Korea, the dictatorship in Venezuela, the Russians as always, and the Chinese who have an enormous, sophisticated espionage operation. Wise words and a warning as timely as the morning’s headlines. My commentary on the lies about bisphenol A (BPA) that have led to several states banning it without a shred of scientific evidence generated a lot of feedback; enough to revisit the topic because it symbolizes the way Americans and others around the world are under assault from the environmental and consumer groups that exist to further their own agendas. BPA is a chemical used in the epoxy liners of many canned foods, as well as some plastic food containers. BPA improves public health by greatly decreasing the risk of food borne illness in canned foods and making them easier to manufacture. At the heart of the campaign to ban BPA is the larger issue of plastic itself, a byproduct of petroleum. I suspect that a lot of people do not know that plastic starts life as crude oil. Oil is so essential to modern life that most people are astonished to discover that, after a portion of a 42-gallon barrel of oil is turned into 19.4 gallons of gasoline, more than half of what remains becomes an element of more than 6,000 other products from floor wax to vitamin capsules, cortisone to insect repellent, perfumes to house paint. I doubt that it has passed your notice that oil has been the number one enemy of environmental groups for decades. This is most evident in the effort by the White House to shut down new drilling in the Gulf of Mexico based on a single accident on a single rig. As this is written, Friends of the Earth is trying to stop the building of a pipeline to give the U.S. easier access to Canadian oil. So, when you connect the use of oil and plastic, you get two utterly essential facets of modern life that Greens are working to thwart any way they can. The primarily instrument, other than the fashioning of legislation for sympathetic politicians, is a continuous tidal wave of propaganda rooted in junk science. In late June, she conducted an interview with Julie E. Goodman, principal scientist at Gradient, an environmental consulting firm in Cambridge, Massachusetts where she also teaches at the Harvard School of Public Health. She is an expert in toxicology and epidemiology. Those advocating bans on BPA are using the discredited “precautionary principle” that the mere chance something might pose harm is sufficient reason ban it. That is pure sophistry, slippery thinking that ignores the great good a chemical provides, particularly in light of the fact that exposure to it is literally meaningless. As this is being written, California’s legislature is wrestling with a ban on BPA. Like so many of the absurd environmental laws passed in that state – one that is in deep debt due to its feckless taxing and spending policies – a ban would constitute more of a threat to the health of its citizens than not. There is growing evidence that Americans are tired of being constantly under siege from the purveyors of junk science. This, however, does not slow the passage of junk science legislation such as the Cap-and-Trade Act that is likely to be pushed through Congress during a forthcoming lame duck session after the midterm elections. Let us hope that the BPA ban is defeated in California and struck from an alleged food safety bill in Congress. The bans should be repealed in the states that have already passed them. Then we must undo the thousands of laws and regulations related to the junk science of global warming and similar hoaxes. 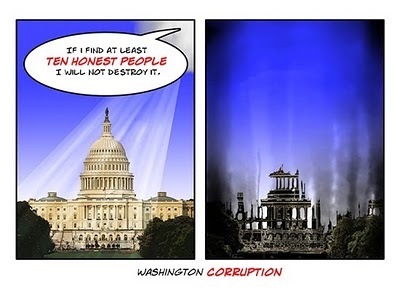 The powers in Washington, D.C. seem to be living in a parallel universe from the one the rest of the nation occupies. Even worse is the way the Obama White House and Democrat controlled Congress appears to be hell-bent on destroying the economy before they can be voted out of office. No Congress since the days of the Great Depression and the Roosevelt administration has been driven to pass legislation that is more injurious to the present and future of the nation. It began with the so-called Stimulus Act that is widely seen as a failure, followed by Obamacare, the government takeover of one sixth of the economy replete with the rationing of care that will literally kill some people. On Wednesday the President signed "financial reform" legislation that will play havoc with the financial industry while expanding government regulation still further. Let us examine the reality. Washington tells us that the unemployment rate is 9.5%. Raghavan Mayur, president of TechnoMetrica Market Intelligence has been closely following unemployment data. His survey in May revealed that 28% of a thousand households reported that at least one member was looking for a full-time job. Mayur’s firm owns the TIPP polling unit, a polling partner for Investors’ Business Daily and Christian Science Monitor. The June poll revealed 27.8% of households experiencing unemployment and, in the second week of July, it showed 28.6%. That translates to an unemployment rate of more than 22%! 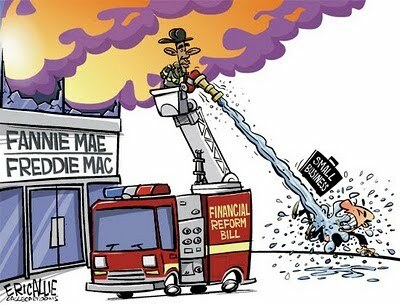 The so-called financial reform act is likely to be as great a power grab as Obamacare, but it totally ignores the root cause of the 2008 financial crisis, Fannie Mae and Freddie Mac, the two government sponsored “entities” whose collapse revealed that many of mortgages granted by banks and lending companies, and then purchased by Fannie and Freddie for bundling and resale were inherently unsound. Why? Because the government had long been pressuring banks and mortgage lenders to issue mortgages to people who could not afford to borrow the price of a hamburger. They were called “Ninja” loans; no job, no assets. The concept of the government getting involved in the housing market is based on the notion of “social justice” and the belief that everyone had a “right” to own their own home. Social justice was the basis for Social Security when it was established in the 1930s and later for Medicare/Medicad. Both programs are insolvent. Everything the FDR administration did prolonged the Great Depression for ten years until the advent of World War Two rescued the economy. 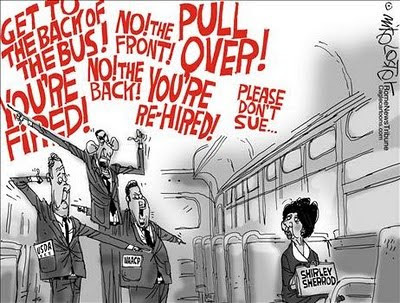 The Obama administration is repeating the same mistakes. In June, Bloomberg Business Week took a look at four scenarios regarding the cost of the bailout of Fannie Mae and Freddie Mac. Bear in mind that together they hold or guarantee 53% of the nation’s $10.7 trillion in residential mortgages. They operated as shareholder-owned corporations that financed home loans with the tacit support of the federal government. In February the White House Office of Management & Budget estimated a bailout cost of $160 billion; a December report by Barclays Capital analysts put the figure at $230 billion based on a doubling of defaults and losses averaging 50% of each loan. According to a Congressional Budget Office estimate in August of last year, the figure was estimated to be $389 billion and Sean Egan, president of Egan-Jones Ratings estimated it would come in closer to $1 trillion. Wall Street and the banks were being lambasted for having purchased the bundled securities Fannie and Freddie were selling them while the White House and Congress ignored these agencies. Well, not totally ignoring them. In October 2008 the government seized control of both. They are not, however, part of the new financial “reform” legislation. Fannie Mae and the whole system in place since 1938 functioned on what can only be called a system of winks, nods and self-deception. That mindset led to a 2004 scandal in which the Office of Federal Housing Enterprise Oversight revealed a pervasive misapplication of accounting standards. That, in turn, led to the resignation of Fannie Mae CEO, Franklin Raines. In a spooky sidebar, Raines owns the patent on the exchange system for the trading of carbon credits, the objective of the Cap-and-Trade Act under consideration in the Senate. The debate about what to do with either or both will not even begin until next year. It is useful to keep in mind that the two legislators, Rep. Barney Frank and Sen. Chris Dodd, who have defended Fannie and Freddie for years, are the authors of the new financial reform bill. The foxes have been in the henhouse for a very long time. Conservatives think that both Fannie Mae and Freddie Mac should be put out of business and that mortgage loans should be a fully private market enterprise. This alone would likely guarantee that a future financial meltdown regarding mortgage lending would be avoided. A trillion dollars or even several hundred billion dollars is too high a price to permit what has occurred to occur again. When the new, expanded government reforms kick in, there is no telling what effect they will have on the economy, but they are unlikely to be good. 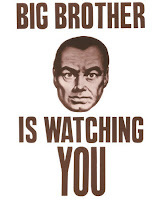 Believing anything the government has to say these days is a very bad idea. There is no single duty that a President has as Commander-in-Chief that is more important than ensuring the nation’s engines of defense remain at a level that will deter and defend against any attack upon America or its allies. How is that going under the Obama Administration? As this is being written, the U.S. Air Force and Navy are seeking alternative ways of powering their aircraft after having been ordered to cut fuel costs by $20 billion. The Obama solution includes an August test flight of the C-17 transport aircraft attempt to fly missions on tallow, which is a nice way of describing animal fat. The push for biofuels notwithstanding, the notion approaches absurdity considering the fact that, beneath the Arctic National Wildlife Reserve, there are millions of untapped barrels of oil to power military aircraft. The absurdity is compounded by the White House attempt to shut down deep water drilling in the Gulf of Mexico which has been struck down by the courts not once, but twice. My interest in the status of our air defense was piqued while watching a recent C-SPAN broadcast of some Senate committee discussing funding of the C-17. I paid scant attention until one senator said, “We don’t have the money.” Suffice to say, that caught my attention. Of course we have the money! There are billions unspent in the failed “stimulus” act and millions more wasted weekly across the spectrum of a government that funds all manner of idiotic “research” programs of dubious value. Some $20 million was just spent on signs touting construction projects funded by the stimulus bill. Nothing invites mischief and outright attack more than weakness. Theodore Roosevelt said, “The pacifist is as surely a traitor to his country and to humanity as is the most brutal wrongdoer.” The latter is a good description these days of Iran. “The backbone of America’s power-projection capability is its ability to get to a fight ‘the firstest with the mostest,’” wrote Gaffney. Something tells me that doing it with aircraft fueled by slaughterhouse renderings is a very bad idea. No less important is the future of our fighter jet fleet. It is the subject of a huge congressional debate concerning the next generation of fighters, the F-35 Joint Strike Fighter (JSF). More specifically, the debate involves the engine to power it. But the rub doesn’t involve which engine to use; the argument is whether the F-35 engine should be sole-sourced to a single manufacturer or whether production should be shared by two manufacturers. One engine is the F135, made by Pratt & Whitney. As with any technological advance, Pratt & Whitney encountered various problems in the development process because the F-35 is designed for use by three different service branches, each with different missions and engine requirements. More to the point, these services comprise the overwhelming majority of our national jet fighter capability so many in Congress are advocating the production of a second engine. That would be the F136, produced jointly by General Electric and Rolls Royce. 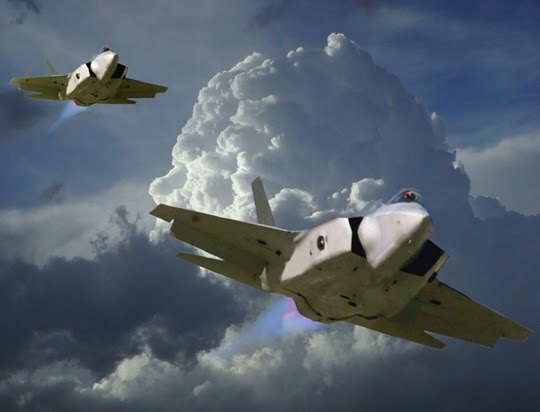 The issue centers on fleet reliability and comes down to an easy and obvious question: Is it prudent for 80-90% of the U.S. Air Force, Navy and Marine Corp’s fighter jet fleet to be dependent on a single engine from a sole-source provider? The answer is no. If mechanical flaws or difficulties occur, or if that sole-source provider suffers an industrial accident, a labor dispute or terrorist attack, the entire fighter fleet could be grounded. F136 funding was re-inserted and development continued on schedule until the FY 2008 budget came around and the Pentagon again tried to remove funding. Congress disagreed and, supported by the GAO’s estimate of $20 billion of tax savings over the life of the program with both the F135 and the F136 engines, again reinstated funding. Production on the F-35 is increasing but testing is not expected to be complete before 2014 and the engine issue remains unresolved. The Obama Administration now considers avoiding the risk of a systemic sole-source engine failure as a luxury and seems willing to back up that position. Secretary of Defense Robert Gates has reportedly urged President Obama to veto the 2011 defense authorization bill if the final version includes any money for the GE/Rolls Royce engine. I cite this to alert you to the irrationality that is driving decisions affecting our most vital national defense capabilities. When a Secretary of Defense proposes a veto of an entire defense authorization over an additional engine for the next generation of fighter jets we’re witnessing something that’s not just absurd; it’s reckless. The notion that we can’t afford a second F-35 engine is not true. What we cannot afford is to permit our jet fighter fleet and our air transport fleet be put at an indefensible risk when the fate of the nation rests upon both. The Governor of California is jogging with his dog along a nature trail. A coyote jumps out, bites the Governor and attacks his dog. 1. The Governor starts to intervene, but reflects upon the movie "Bambi" and then realizes he should stop; the coyote is only doing what is natural. 2. He calls animal control. Animal Control captures coyote and bills the State $2000 testing it for diseases and $5000 for relocating it. 3. He calls a veterinarian. The vet collects the dead dog and bills the State $2500 testing it for diseases. 4. The Governor goes to hospital and spends $35,000 getting checked for diseases from the coyote and on getting his bite wound bandaged. 5. The running trail gets shut down for 6 months while Fish & Game conducts a $1,000,000 survey to make sure the area is free of dangerous animals. 6. The Governor spends $500,000 in state funds implementing a "Coyote Awareness" program for residents of the area. 7. The State Legislature spends $20 million to study how to better treat rabies and how to permanently eradicate the disease throughout the world. 8. The Governor's security agent is fired for not stopping the attack somehow and for letting the Governor attempt to intervene. 9. Additional cost to State of California: $125,000 to hire and train a new security agent with additional special training re: the nature of coyotes. 10. PETA protests the coyote's relocation and files suit against the State. 1. The Governor shoots the coyote with her State-issued pistol and keeps jogging. The Governor has spent $0.35 on a .380 hollow point cartridge. And that's why California is broke. In mid-July, appearing on MSNBC’s Joe Scarborough morning show, former national security advisor to Jimmy Carter, Zbigniew Brzezinski said that “there is a sense of pervasive malaise” in America these days. He went on to say that President Obama, the most famous community organizer in the nation, had not yet generated “some sort of organizing idea” to deal with it. In 1979, “now” reflected the fifteen previous years in which Americans witnessed assassinations, Vietnam, Watergate, and a declining economy. The 1973 OPEC oil embargo had put cars in long lines waiting to fill up on gasoline. At the heart of it was the growing public perception and dissatisfaction with Carter’s judgment and competence. He would become a one-term president. Carter’s greatest gift to America was the election of Ronald Reagan. If this sounds a lot like today, it is. The issue of energy has been exacerbated by the Gulf of Mexico BP spill and the slow response of the White House, followed by a series of actions that likely worsened its impact on Gulf coast states. Obamacare, forced on an unwilling electorate, hasn’t generated any confidence either. As of July 19, Rasmussen Reports noted that 61% of Americans expect the cost of health care to rise and 56% want it repealed. It is a useful exercise to actually read Carter’s famed speech. It is astonishing how wrong he was thirty-one years ago. It is also an example of how an incompetent president’s decisions resonate for decades afterward. This anti-oil policy is reflected by the Obama administration. The courts have twice rejected his irresponsible shutdown of oil production in the Gulf of Mexico, but it continues anyway. Carter’s speech was filled with dire warnings, but in the end he blamed the American people for the trouble the nation was encountering. “It is a crisis of confidence,” he said. “The erosion of our confidence in the future is threatening to destroy the social and the political fabric of America.” History documents that confidence was restored by Reagan’s policies. 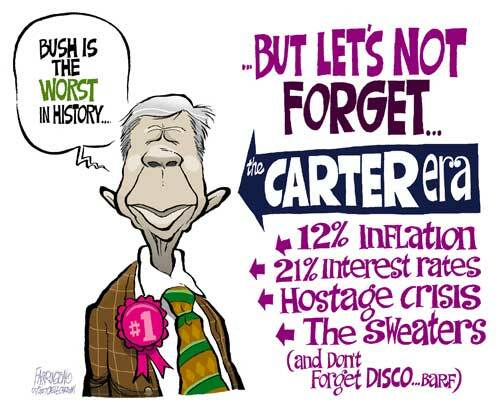 In 1979 Carter said that Americans had found government “isolated from the mainstream of our nation’s life. Washington, D.C. has become an island.” Today, Washington, D.C. might as well be on another planet. Carter promised that demand for energy “will be met by our own production” and then proceeded to drive domestic oil production into the ground with his windfall profits tax. As always Big Oil was an easy way to distract people from the reality that it is Big Oil (and Big Coal) that ensures we have the energy we need for transportation and other needs. In 1980, Big Oil went looking for oil anywhere else than America, despite vast domestic and potential offshore reserves. In April 2008, the U.S. Geological Service published a report on the projected “Bakken” oil reserves in parts of North and South Dakota, and eastern Montana. They are estimated to represent 8-times as much oil as Saudi Arabia; 18-times as much oil as Iraq; 21-times as much oil as Kuwait; 22-times as much oil as Iran; and 500-times as much oil as Yemen. Carter also got the ball rolling on all the wasted millions devoted to developing “alternative”, “clean” and “green” forms of energy such as ethanol and biofuels, solar and wind energy. In the three decades since his speech, none—not one—of these forms of energy have demonstrated the ability to replace the nation’s energy needs provided by coal, natural gas, or oil. 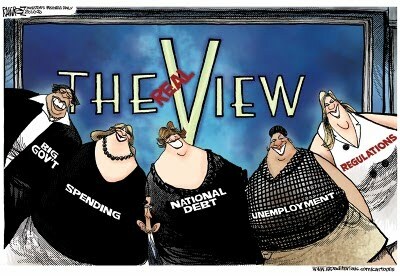 This is the cause of American’s malaise in 2010. It began with Carter’s idiotic energy policies and it continues with Obama’s. How much longer must we wait to access our own oil? How many more horrid pieces of legislation will be foisted on us by the current administration? The answer lies, in part, with the November midterm elections and the nation elections in 2012. 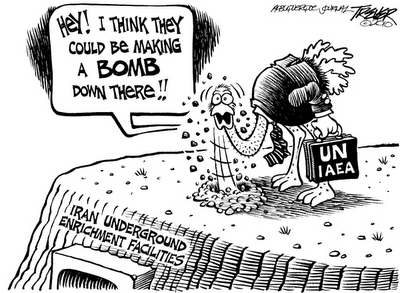 For months now, Mortimer B. Zuckerman, the owner and editor-in-chief of U.S. News & World Report, has been writing increasingly desperate pleas for the Obama administration to do something about the greatest threat to peace in the Middle East and the world, Iran. It must be very frustrating to be a multi-millionaire media mogul and yet unable to do much about an impending disaster other than warn about it. 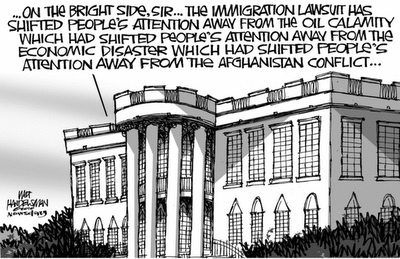 My sense is that it falls on deaf ears at the White House. Anyone as dense as Obama should not be allowed to be Commander-in-Chief, but he is and, worse for America and all other nations, he likely has no idea of the dangers involved in reducing the nation’s military capabilities at a time when Iran is closing in on becoming a nuclear threat to the Middle East and beyond. “The blunt truth,” said Kay, “is that weapons inspections simply cannot prevent a government in charge of a large country from developing nuclear weapons.” It didn’t even stop a small country, North Korea, from doing so. Does anyone believe that President Obama will support an Israeli attack on Iran to degrade its ability to complete its goal of acquiring nuclear weapons? Does anyone know the extent to which the President is trying to reduce the U.S. arsenal of nuclear weapons? Or the capability of the U.S. Air Force to respond to a threat to the peace anywhere in the world? The only time this president has shown any “leadership” was in response to criticism by the former head of the forces in Afghanistan, Gen. Stanley McCrystal. Meanwhile, the cost cutting in the Pentagon continues relentlessly. All this reeks of the weakness shown by Great Britain and European leaders in the face of the obvious aggression by Hitler’s Nazi regime in the 1930s. The answer is that it’s easy when nations display the same gutless response of earlier generations and the weakness of the present administration. This from a man who on Fox News recently said he voted for Obama, his newspaper, the New York Daily News, endorsed Obama, and that he even helped one of his speeches! The problem is an ancient one. 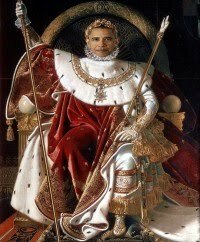 How to remove from office a king or, in a republic, an elected leader who has broken the law and/or is perceived to be a threat to both the present and future of the nation? In earlier eras, the solution was usually bloody. “Who will rid me of this meddling priest?” England’s King Henry II was reputed to have said of Thomas Becket, the Archbishop of Canterbury. In 1170, his complaint was obliged when Becket was murdered on a cold December evening. I cite this famous quote only because the tide is rising among Americans who would be rid of Barack Obama. I would never suggest or condone the sword, but surely one would think we the People might have recourse to the courts or Congress. The fear in both the courts and Congress is the torturous process involved and, of course, the outcome. Twice in our history, impeachment has been tried and failed, first with Andrew Johnson whose Reconstruction policies following the Civil War were in much disfavor and, in more recent times, with Bill Clinton whose perjuries and other problems were not deemed to rise to a level worthy of removing him from office. Richard Nixon resigned before he could be impeached. 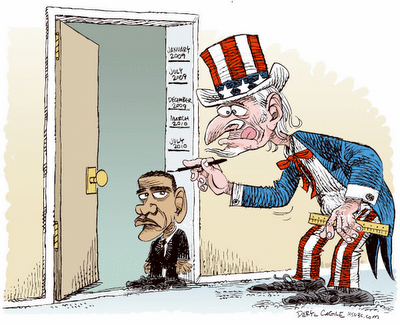 The drawback of impeachment is the way it would inevitably cast Obama as the victim of predatory politicians. It is not a good choice. Presumably, lying about one’s eligibility to hold the office of President and spending huge sums to ensure that one’s birth certificate and actual place of birth shall remain unknown would justify removal. We all know by now that, constitutionally, only a “natural born” citizen may serve as President. His father was a British citizen and both parents must be American to qualify as natural born. We all know that considerable controversy exists as regards the birthplace and citizenship status of Obama. Was he a Kenyan? Was he an Indonesian citizen at one point? The enduring question on the minds of many is why the court cases filed to get at the facts regarding his eligibility have encountered so much resistance? Surely this is a matter of major national concern. What nation would permit an imposter to serve in its highest office? Alas, early cases were dismissed when those bringing them were deemed to have no “standing” before the court though one might think the lowliest citizen should have standing. As wrenching as the process of removing Obama from office via the judicial process might be deemed, there is no legitimate reason not to proceed. There appears to be no evidence his birth was registered with the American embassy or consulate in Kenya. I have seen a photo of a document said to be his Kenyan birth certificate. Having no way to authenticate it, I am reluctant to pass judgment. The birth certificate from Hawaii, offered during the 2008 campaign, is said to be one issued upon request as opposed to the “long form” issued for those actually born there. There was some question raised at the time as to its authenticity with allegations that it was photoshopped. There is a question whether a long form certificate exists. My personal view is that many in government fear the consequences of removing even an illegitimate President from office, given that it would require that all legislation signed into law and all executive orders issued by him would be rendered invalid. 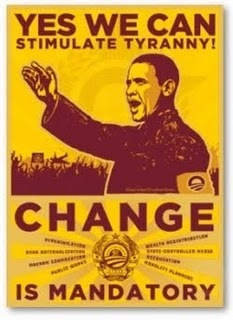 I suspect some fear that chaos more than waiting and hoping the electoral process will end his term in 2012. My problem is that the nation must endure some 900 more days of the malevolence or sheer incompetence he will initiate; including a lame duck session of Congress following the midterm elections that would impose Cap-and-Trade, card check, and other legislative abominations. There are constitutional scholars who know far more about such things than me, but I confess to remaining baffled by the failure to attend to the critical question regarding the right of Barack Hussein Obama to be the President of the United States. 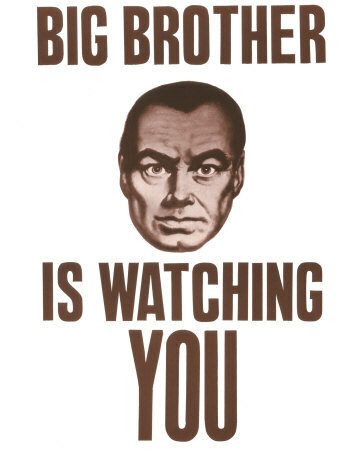 The U.S. Environmental Protection Agency comes as close to George Orwell’s version of Big Brother as any element of the federal government. It operates on a totally irrational basis, ignoring anything that even passes for real science. Through its regulatory power it imposes insane mandates that drive up the cost of everything and is trying to drive major elements of energy provision out of business. What, for example, is the EPA doing offering “tips to protect eyes, skin from the Sun’s harmful rays”? Does the EPA sell sunscreen products? Charged with cleaning the nation’s air and water, why is it venturing into areas better served by the U.S. Department of Health and Human Services? Charged with keeping the U.S. waters clean, why has the EPA launched a “National Water Conservation Campaign” complete with tips such as checking the toilet for “silent leaks” or replacing your showerhead with a “WaterSense labeled model.” Do we really need the EPA in the business of approving some showerheads over others? The answer is that the EPA wants to be involved with all aspects of people’s lives and sees no limits on its authority or power and it wants you to love it for all the effort it is making to save you from a horrible death. Recently the EPA classified milk as oil! How crazed is that??? It based this on the fact that milk contains animal fat which is a non-petroleum oil. The result is that dairy farming has become even more costly and you can bet the costs will be passed on to consumers. While the Gulf of Mexico is polluted by millions of gallons of oil from the BP disaster, Frank Konkel of Silver Sky Dairy in Hesperia, Michigan, and all other dairy farmers will have to develop and implement spill prevention plans for milk storage tanks. The rules are set to take effect in November. In another blow to the economy, in late June the EPA announced it was voiding certificates of approval for the import of up to 200,000 gas-powered off-road motorcycles and all-terrain vehicles. The reason? The EPA “suspects that tailpipe emissions information was either incomplete or falsified.” All vehicles imported or manufactured in the United States are required to have certificates of conformity which are issued by the EPA. I suspect the EPA does like any vehicle that runs on gasoline and is used for recreational purposes. The tentacles of the EPA reach into every enterprise in the nation. Like the FBI, the EPA even has its own fugitive list. The target this time is methane, among the most minor elements of the Earth’s atmosphere one can identify. In 1998, the amount of methane in the Earth's atmosphere was estimated to be 1,745 parts per billion. Swamps and bogs around the globe naturally produce methane and always have. Identifying it as a “greenhouse gas” is part of the global warming hoax that claims methane and carbon dioxide are causing the Earth to heat up. Apparently no one has told the EPA that the Earth has been cooling for the past decade. And, finally for the purpose of this quick look at EPA lunacy, to the joy of the taxpayer-subsidized biodiesel industry, the EPA announced that it would require the domestic use of 800 million gallons of biodiesel in 2011. It is made from animal products. This is part of the EPA’s never-ending war on oil. Biodiesel and biofuels have been subsidized with taxpayer’s money for some three decades at this point. The annual biofuel ethanol production increased only 16% in 2009 to 256 million barrels. This annual production is less than 8% of U.S. foreign oil imports of 3,307 million barrels. There is no way ethanol can replace foreign oil. There is no sensible reason to go on subsidizing biofuel or biodiesel. The EPA has been totally out of control almost from the day it was established in 1970 by an executive order. Within two years it banned DDT. That ban was picked up by the World Health Organization and the result has been an estimated 400 million people who have since died from malaria. If that isn’t genocide, I don’t know what is. Muslims do not take kindly to criticism of any kind. Their solution, as often as not, is to kill anyone who criticizes them. Indeed, the Koran’s punishment for converting to another religion is death. Islam’s primary weapon in recent decades has been terror. There are literally thousands of terrorist acts occurring throughout the world these days. 9/11 was the quintessential Muslim act of intimidation, but it was preceded and has been followed by many others. In an act of political correctness and national suicide, Americans elected Barack Hussein Obama President in 2008. He has made no secret of his Muslim roots and beliefs. His very first television interview as President was with Al Arabia and, most recently, one of his appointees, Charles Bolton, the director of NASA claimed that he had been instructed to redirect that agency’s objectives to include a mission to the Muslim world. Consider this, in 1952, President Truman established a National Day of Prayer and, in 1988, President Reagan designated the first Thursday in May each year as such. In June 2007 President Obama declared that the United States was not a Christian nation and this year he cancelled the 21st National Day of Prayer ceremony. On September 25, 2009, there was a National Day of Prayer for Muslims that was held on Capitol Hill near the White House. There were more than 50,000 Muslims in attendance and as this is being written, Muslims are attempting to build a huge mosque within a block of Ground Zero in New York. My friend, Amil Imani, born in Iran, an American citizen, has been courageously outspoken on the topic of Islam. Recently he published a book, “Obama Meets Ahmadinejad” that uses satire to reveal some fundamental truths about these two men. Ahmadinejad, of course, is the president of Iran and so hated there that crowds filled the streets of Tehran to protest. Iran is the classic Islamic nation that uses brutality and oppression against its own people. Imani’s book has already been hailed by some of the leading voices warning against the Islamic threat to freedom and liberty. They include Robert Spencer, the author of “The Politically Incorrect Guide to Islam and the Crusades; Dr. Wafa Sultan, author of “A God Who Hates”; and Dr. Ali Sina, the author of “Understanding Muhammad and founder of FaithFreedom.org. Let me add my recommendation that you get a copy for yourself. 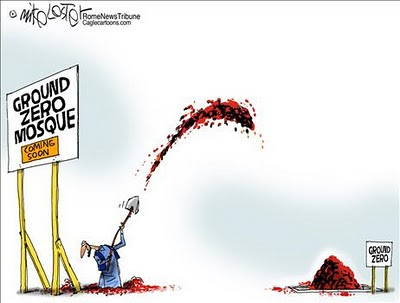 In his most recent commentary, posted July 14, “Islam Must Be Stopped in America”, Imani makes a powerful case for the ways Muslims are using America’s traditional tolerance to make inroads that would impose Islam on the nation. He ruthlessly exposes the lies that Islam is a “religion of peace” or that Muslims believe there is “no compulsion” to convert. Infidels, all those who are not Muslim, can see the truth with their own eyes as they observe “the savage Shiite-Sunni bloodletting in Iraq; the genocide in Sudan’s Darfur region; the Somali killings; the Iranian mullah’s murder of their own people, and the support of mischief abroad; and the incessant terrorist acts of Hamas, Hezbollah, and Islamic Jihad on Israel.” There are so many other examples that only fools would cling to the belief that Islam does not pose a threat to the world. 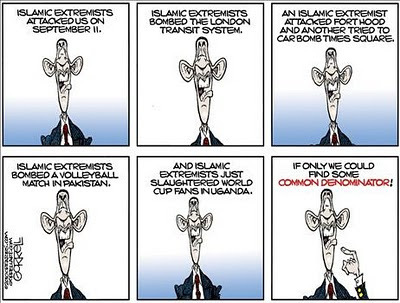 From the beginning of the Obama administration to the present, every effort was made to avoid identifying the enemy; most egregiously expunging any reference to “terrorism” from the language of its top officials including the Attorney General, the Director of the Department of Homeland Security, and a top national security advisor to the President, John Brennan, who has asserted that jihad does not mean war on the infidels. Tell that to 1.2 billion Muslims! 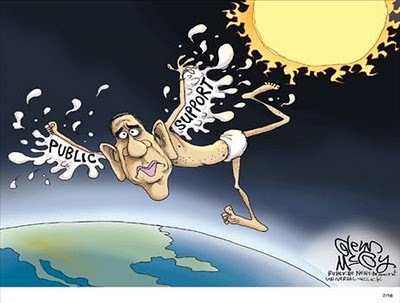 Americans have just over 900 more days of the Obama administration and the fate of the nation literally hangs in the balance until it is replaced.